Veterans Affairs Secretary David Shulkin testifies during a U.S. House hearing on March 15. Shulkin has been criticized for taking his wife along on a 2017 official trip to Europe. The optics versus the facts. That's the problem. "I wonder whether there is actually ethics blindness on the part of the Trump administration — because it's not just a problem of optics, it's a problem of ethics," said Kathleen Clark, a professor of legal and governmental ethics at Washington University law school in St. Louis. Another Trump Cabinet official under fire for questionable spending, Housing and Urban Affairs Secretary Ben Carson, told lawmakers he was not responsible for the picking out a $31,000 custom dining set for his office. "I left it to my wife," said Carson. Whatever the reason, President Trump's administration prefers to deal with appearances, as do many others in Washington. "The optics in some of this don't look good, and that's why we, again, have taken this criticism to heart," Tom Price told Fox News last fall, as his frequent use of charter jets was about to prematurely end his tenure as health and human services secretary. Trump, hinting to reporters that Price was on his way out, said, "Look, I think he's a very fine person. I certainly don't like the optics." Public apologies contain three essential elements, said Edwin Battistella, author of Sorry About That: The Language of Public Apology. "In a sort of sincere, full apology," Battistella, who's a professor of linguistics at Southern Oregon University, told NPR, "someone would name what they did wrong and take responsibility for it, and talk about how they're going to be a better person in the future or fix what they did wrong." President Ronald Reagan hit all of those points in a 1987 speech while apologizing for the Iran-Contra scandal, which involved American hostages in Iran, clandestine U.S. arms sales to Iran, and the illegal diversion of money from the sales to anti-communist guerrillas in Nicaragua. The scandal nearly caused a constitutional crisis. Starting with a broad initial apology — "First, let me say I take full responsibility for my own actions and for those of my administration" — Reagan apologized nine times in the 12-minute speech. By comparison, Battistella said, regretting the optics is just an updated way to avoid the real subject. "I'm sorry if you were offended. It's a new way of saying that." Then there's the non-apology for the ages from President Bill Clinton in 1997: "Mistakes were made here, by people who either did it deliberately or inadvertently." He was trying to defuse the Democrats' big fundraising scandal in his 1996 re-election campaign, and the party's bungled response to it. "Mistakes were made" is a time-honored way to insulate the speaker from the sin. Battistella said, "It actually shows up in Ulysses Grant's final state of the union address." The document, officially called the President's Eighth Annual Message to Congress, came in December 1876, when President Grant's administration had been ground down by eight years of scandal. Grant was known for his blunt prose. In his message to Congress, he took the non-apology and added seven important words: "Mistakes have been made, as all can see and I admit." Grant didn't mention any optics. There has been a slow drip of Cabinet spending scandals during the Trump administration. Here's a few - chartered jets, first-class travel, expensive office furniture. And one word keeps popping up to explain the problems - optics, which sounds a little to some people like a non-apology. NPR's Peter Overby has the story. 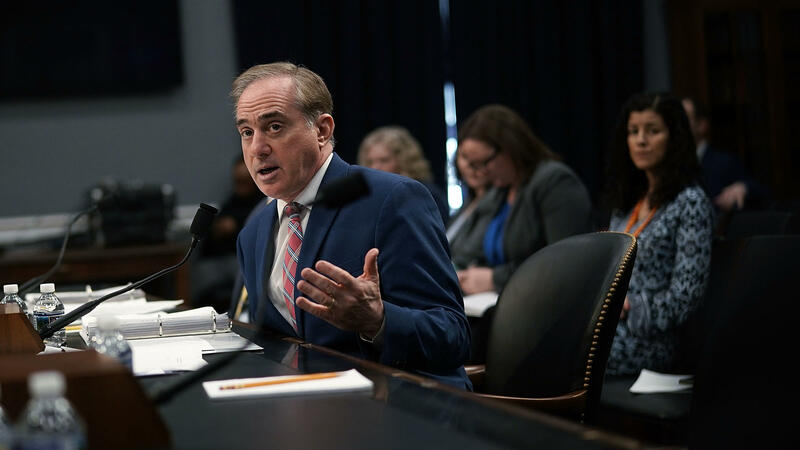 PETER OVERBY, BYLINE: Veterans Affairs Secretary David Shulkin was in the hot seat last month at a House committee hearing. He'd taken his wife to Europe on a government-funded trip. OVERBY: Colorado Congressman Mike Coffman, a Republican, wasn't buying it. MIKE COFFMAN: It's not the optics that are not good, it's the facts that are not good. I yield back. OVERBY: The optics versus the facts, that's the problem. Kathleen Clark is a professor of legal and governmental ethics at the Washington University Law School. KATHLEEN CLARK: I wonder whether there is actually ethics blindness on the part of the Trump administration because it's not just a problem of optics, it's a problem of ethics. OVERBY: But President Trump and his administration, like many others in Washington, are more eager to deal with appearances. Tom Price, last fall, was about to lose his job as Health and Human Services secretary. He'd been flying around the country in expensive charter planes. Price went on Fox News to offer one last defense. TOM PRICE: The optics in some of this don't look good, and that's why we, again, have taken this criticism to heart. OVERBY: A few days later, when Price resigned, Trump also dodged the substance. PRESIDENT DONALD TRUMP: Look. I think he's a very fine person. I certainly don't like the optics. OVERBY: Linguistics professor Edwin Battistella wrote the book on this. It's called "Sorry About That: The Language Of Public apology." He said, a good apology has three parts. EDWIN BATTISTELLA: In a sort of sincere full apology, you know, someone would make what they did wrong and take responsibility for it and talk about how they're going to be a better person in the future or fix what they did wrong. OVERBY: All things that President Ronald Reagan did in 1987, when he apologized for the Iran-Contra arms-for-hostages scandal. RONALD REAGAN: First, let me say I take full responsibility for my own actions and for those of my administration. OVERBY: Starting there, he apologized nine times in the 12-minute speech. By comparison, Battistella says, regretting the optics is just an updated way to avoid the real subject. BATTISTELLA: I'm sorry if you were offended. It's a new way of saying that. OVERBY: Then there's the non-apology for the ages. BILL CLINTON: Mistakes were made here by people who either did it deliberately or inadvertently. OVERBY: President Bill Clinton in 1997 trying to explain the Democrats' big fundraising scandal. Mistakes were made is a way to wall off the speaker from the sin. Battistella said mistakes have been made for a long time. BATTISTELLA: It actually shows up in Ulysses Grant's final State of the Union address. OVERBY: This was in December, 1876. President Grant's administration had been ground down by scandal. Grant was known for his blunt prose. Here, he took the non-apology and added seven important words, quote, "mistakes have been made, as all can see, and I admit." Grant didn't mention any optics. Peter Overby, NPR News, Washington. (SOUNDBITE OF JOHN HOLLENBECK'S "GRAY COTTAGE STUDY #4: HEALING AND GRATITUDE") Transcript provided by NPR, Copyright NPR.